The number of house sales in Turkey, which broke a record in property sales in 2017, increased 1.7 percent in January compared to the same month last year, the Turkish Statistical Institute (TurkStat) announced yesterday. According to data from the national statistical body, property sales in Turkey reached 97,019 in January with Istanbul leading the way at 16.8 percent of total house sales with 16,336 sold. It was followed by the capital, Ankara, with 10 percent and 9,720 house sales and the Aegean province of İzmir with 6 percent and 5,841 house sales, TurkStat said. 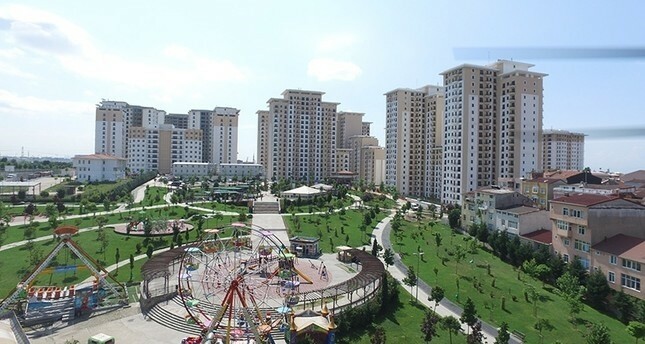 The Turkish Statistical Institute said that 28,678, mortgaged houses were sold in the country, a decrease of 20.3 percent compared to the same month the previous year. House sales with mortgages had a 29.6 percent share of all house sales. The statistical body also said 44,363 houses were sold for the first time in the said period, increasing by 0.3 percent compared to the same period last year, a 45.7 percent share of all house sales in the country. Second-hand house sales were up 2.9 percent, reaching 52,656, compared to the same month last year. House sales to foreigners soared by 25.7 percent in January this year, reaching 1,742, compared to the same period last year, TurkStat said. Istanbul led the way with 545 house sales to foreigners, followed by the country's tourism capital Antalya with 427, Bursa with 161, Yalova with 90 and Trabzon with 82 house sales. In terms of country nationalities, Iraqi citizens led the way with 272 houses in January, followed by Saudi Arabia with 160, Afghanistan with 124, Russia with 121 and Kuwait with 108 house sales. Meanwhile, house sales in 2017 exceeded the record from 2016, as more than 1.409 million residential properties were sold last year compared to 1.341 million units in 2016. The data also showed that property sales to foreigners rose 22.2 percent year on year in 2017.